Dr David Lund, leader of SAFEcrypto Work Package 3 (Vulnerability and Risk Analysis), has recently taken on the Presidency of Public Safety Communication Europe (PSCE). This follows two years as a member of the PSCE board. In the coming year there will be a number of key turning points which influence the future of public safety communication. and potential moves towards the first broadband deployments and considerations for European broadband interoperability. Dr Lund therefore welcomes interested parties to join PSCE and contribute to its activities and help it to shape the future of public safety communications. The PSCE board have spent time over the last year to carry out some improvements both to its organisational processes and the way it delivers its membership benefits. A new website will be published soon where it will start to collate a library of short white papers to easily share information for the benefit of its members. The organisation also intends to begin a series of online events to broaden the possibilities for members to join the discussion. Should people have any material to present either a 2 page white paper, and/or a 1 hour webinar, please contact the secretariat. This material should be informative relating to experiences of, problems solved for, and future capabilities required and addressed for the benefit of public safety professionals. Please also help to spread the word and follow PSCE’s Twitter, Facebook and LinkedIn accounts. Dr Lund invites you to save the date for PSCE’s next conference to be hosted by the University of Oxford, on 9-10 December 2015. Details of conference topics, speakers and sponsorship opportunities will follow soon. Collaborative research between SAFEcrypto partners QUB and RUB has led to the publication of a journal paper entitled Practical Lattice-Based Digital Signature Schemes in the ACM Transactions on Embedded Computing Systems (TECS) Special Issue on Embedded Platforms for Cryptography in the Coming Decade, Volume 14 Issue 3, April 2015. Queen’s University Belfast will be at the forefront of a major, new European push to combat increasingly sophisticated cyber-attacks. The Queen’s-led SAFEcrypto project will draw together cryptographers and other IT experts from Germany, France, Switzerland, Britain and Ireland to devise urgent security solutions capable of withstanding attack from the next generation of hackers. The project will focus on an acute threat from emerging technologies including ‘quantum computers’ – capable of processing information many times faster than the silicon-based computers we use today. SAFEcrypto represents the first major project to be co-ordinated in Northern Ireland using funding from Horizon 2020, the biggest EU research and innovation programme ever developed. The NI Assembly has set a target of winning €145 million from the Horizon programme between now and 2020. Queen’s University is one of the UK’s leading research-intensive universities, and has recently been placed in the Top Ten in the UK for research intensity in the Research Excellence Framework assessment. In this exercise, 93% of the research conducted by CSIT academics was adjudged to be ‘world-leading’ or ‘internationally excellent’. 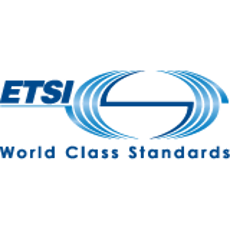 In March 2015, the European Telecommunications Standards Institute (ETSI) created a new Industry Specification Group focussed on Quantum Safe Cryptography (QSC). The first meeting was held at ETSI Headquarters in Sophia Antipolis from 23rd to 26th March 2015, and was attended by Philip Mills (Queen’s University Belfast). The attendees drafted an initial Work Programme with work items ranging from purely scientific/mathematical through to impementation and real-world use cases. The scope of these aligned well with the SAFECRYPTO objectives, which were presented to the group as part of the discussion. The SAFECRYPTO team will follow the standardisation work at ETSI with interest and seek to participate where appropriate. More information can be found on the ETSI portal here. The next meeting of ETSI QSC will take place on 3rd and 4th September 2015 at ETSI headquarters in Sophia Antipolis, France. 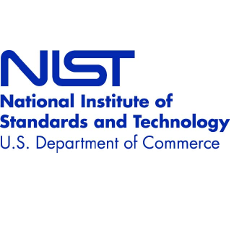 Members of the SAFEcrypto team attended the NIST Workshop on Cybersecurity in a Post-Quantum World on the 2nd and 3rd April 2015. Máire O’Neill of Queen’s University Belfast and Principal Investigator of SAFEcrypto, presented a report on Practical Lattice-based Digital Signature Schemes on behalf of the team. Bob Griffen of RSA and Standards Liaison Manager and Work-package 8 Leader in SAFEcrypto, acted as moderator for a Panel discussion on Key Management for quantum-safe cryptography. Joining the Panel were William Whyte of Security Innovation, Gregoire Ribordy of ID Quantique, Sean Parkinson of RSA and Elizabeth O’Sullivan of Queen’s University Belfast and Work-package 6 Leader of SAFEcrypto.